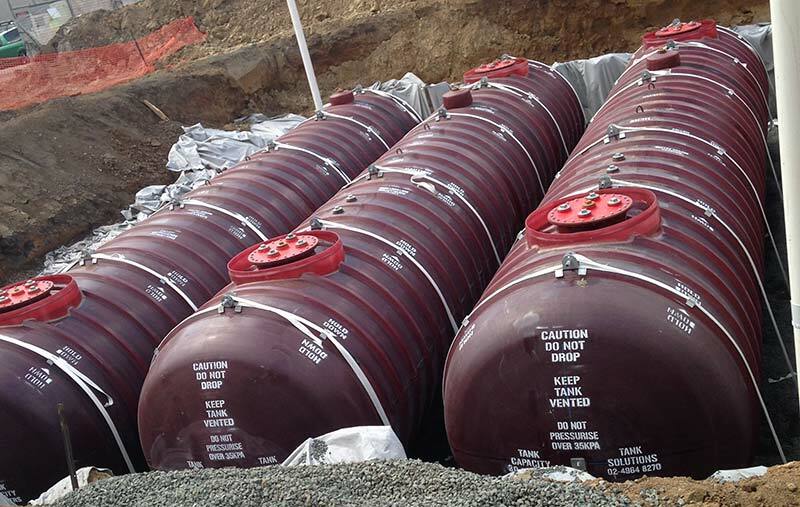 Tank Solutions Pty Ltd is the market leader in the manufacture of Double Wall Fibreglass Storage Tanks. Our Double Wall Fibreglass Tanks offer a full 360-degree secondary containment with a variety of monitoring devices, which can be installed in the interstitial space between the two walls. Due to the unique integral rib design, Double Wall Fibreglass Tanks are the strongest, most robust underground tanks available. They are rust-proof, maintenance free and formulated to be compatible with all petroleum alcohols and alcohol-gasoline mixtures. By choosing a Tank Solutions Double Wall Fibreglass Storage Tank, you can be assured of maximum protection in the unlikely event of a leak in the primary wall therefore preventing ground water contamination. Capacities range from 2,000 litres to 110,000 litres. Double Wall Multi-Compartment tanks are also available in a wide variety of sizes and feature a choice of two or three completely separate compartments within one tank. This enables the storage of multiple products within the same tank.